During our extensive travels around the world as a gay couple, we've enjoyed a whole array of experiences, mostly positive, but a few less so. 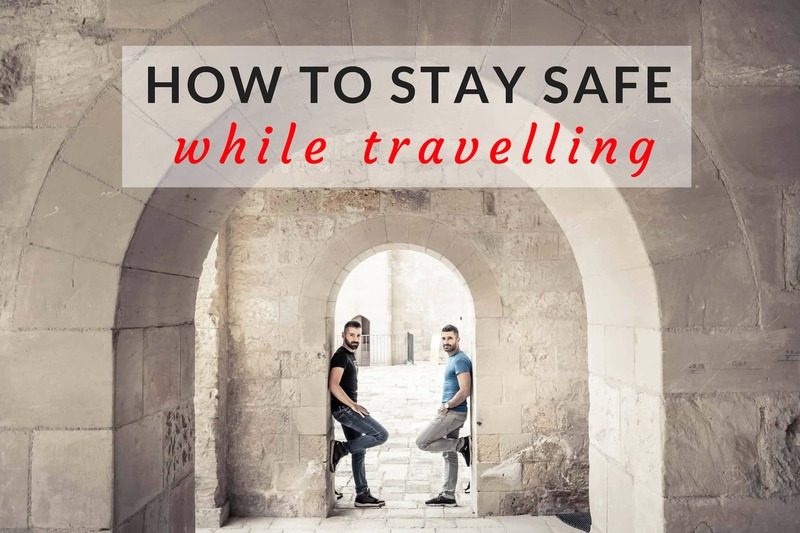 Whether induced by homophobia such as experiencing life under the anti-gay laws in India or going back in the closet in Russia, we've certainly learnt a great deal about the best ways to stay safe while travelling. Based on all these factors, you can make an informed decision as to whether you want to visit. We highly recommend the UK Foreign Office Travel Advice. For us, travelling as a gay couple, we are at a higher risk in a large number of countries where being openly gay is either a punishable crime, or such a taboo in society that it could lead to trouble. We've put together a comprehensive summary of which countries are the most gay friendly and also recommend checking the US Department of State's LGBTQI Travel Information for excellent practical advice. If you do choose to visit countries where being openly gay is a punishable crime, we highly advise taking extra precautions in public, for example, avoiding public displays of affection and setting your social media networks to private. 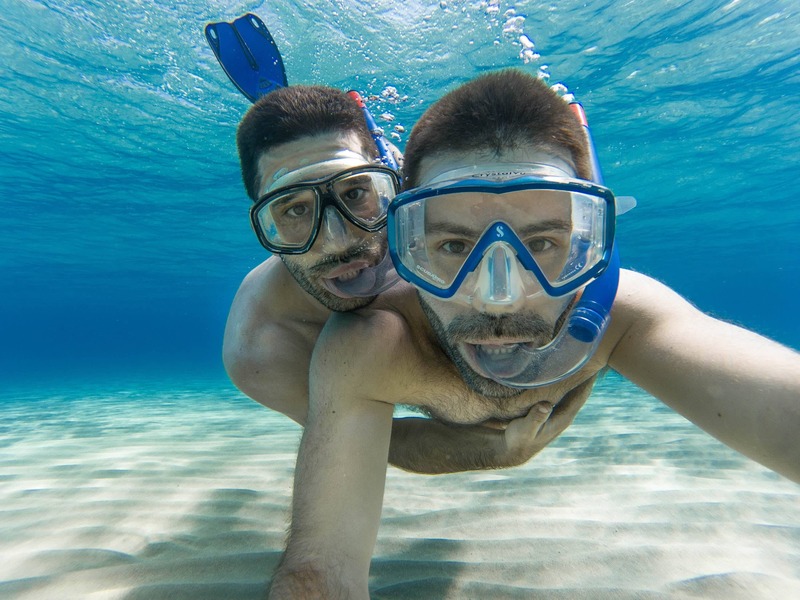 As openly gay travellers, we are more likely to encounter danger when travelling, so certainly need to take extra levels of precaution to ensure we stay safe while travelling. One of the best apps we've discovered for this is CloseCircle. It is literally a virtual bodyguard that tracks you via your phone's location and can offer immediate free emergency support and evacuation just by swiping the SOS button. They have a 24/7 emergency response team monitoring their users who will contact you immediately if the SOS swipe button is activated. Support can include anything from practical advice on dealing with corrupt officials, to free evacuation from areas with extreme weather or security risks. You can also register your travel companions and family members so that you can track each other's last known location in the event of an emergency. CloseCircle is also another excellent resource for practical security advice for the destination you are visiting. They have a section for every country which includes the most up-to-date information for the security, environmental, medical, infrastructural and political risks. It also has a section for each country with important practical travel risk advice like vaccinations, health risks, what to do before departure, on arrive, in transit, at your hotel, in the street and most importantly of all, the numbers for the emergency contacts. They have a team comprised of intelligence analysts, security professionals and technologists, most of which are former police, military and security officers. This security team works 24/7, monitoring the map that tracks all CloseCircle members, whilst scouring social media and all local/global news outlets to create the risk alerts. Finally, CloseCircle send you a daily “Global Situation Alert” email summarising all the recent security threats taking place around the world, organised by continent. Other than being fascinating to read, we've found it such a useful way for on-the-go security advice. We cannot stress the importance of having adequate travel insurance cover during your trips. Whether you have a skiing accident, your bag is stolen, your flight is cancelled or other unfortunate event, having travel insurance really does give you peace of mind if something goes wrong. We were thankful to our travel insurance when Seb had to return from one trip to France to visit his mother in hospital who had a stroke, or when Stefan got his bag stolen in Bogota, and was successfully able to recover the cash stolen. Some activities will in any case require you to have travel insurance cover such as scuba diving. When we were travelling in Malaysia, we desperately wanted to go to Sipadan Island, which is one of the world's best diving spots. However, due to the high number of pirate attacks and kidnappings in the Sabah region of Malaysia of both locals and tourists, we couldn't get adequate insurance for it, so simply had to skip it. If you do decide to visit countries with a dubious safety record, having proper travel insurance cover is the minimum requirement in our opinion. Some countries may in any case require this as part of their visa application process, like Russia, Abu Dhabi and Thailand. Whilst we understand the importance of disconnecting from technology on vacation, we've also learnt the importance of having internet access at all times for our personal safety. When arriving at a new destination, one of the first things we do is to buy a local SIM card. There are so many decent travel apps you can use to make your trip stress free, more efficient and most importantly, keep you safe while travelling. If ever you're in a situation where you need to urgently contact your hotel, friends, or even local police, you can do it without any hesitation. If you're in a taxi, you can use GoogleMaps (see below) to check the route and speak up if your driver takes a dubious route. You can check the latest updates and news on CloseCircle or Twitter should any terrorist attacks happen, and having quick access to your contacts allows you to send urgent news to loved ones. Some phone providers offer competitive roaming packages, which is worth investigating. In Europe, roaming charges for most European citizens were removed in 2017, which has been a blessing. Otherwise, buying a local SIM is quick, simple and extremely important for staying safe while travelling. Practical tips: before leaving, ensure your phone is unlocked and that roaming is enabled. If this is not possible, an alternative is to consider renting a pocket WiFi like we did in Japan. 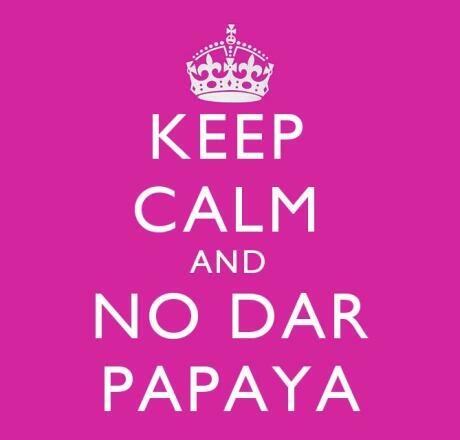 This is a popular slang phrase in Colombia, which literally means “don't show your papayas“, or don't wear your valuables in public. So that expensive Rolex, or golden necklace, diamond ring etc…best leave it out of sight and locked away in the hotel room when exploring a new big city. Wearing it is almost like giving a potential mugger a green signal to come and take it off you. We had our bag stolen in downtown Bogota because we left it unattended for a few moments. We stupidly brought with us all our cash instead of leaving it in the hotel safe. After running around the city trying to find it, we eventually went to the local police station to file a report for our travel insurance claim. The policeman who attended us very sweetly took us aside at the end and told us: “No Dar Papaya amigos”. So, we relay the same advice to you: keep your valuables out of sight to prevent them being stolen! And as stated before, make sure you always have travel insurance should you forget to take good care of your papayas. In every single destination we've visited, whether rich or poor, we are told the same thing by everyone: never use an unlicensed taxi, especially at airports. They are notorious for taking advantage of first time visitors. Some, like the tuk tuk drivers in India, will use it as an opportunity to take you to the wrong destination and instead to a place where they know they will get a commission. One of the best apps in recent years which has eradicated the stress and issues experienced with using taxis is Uber. Everything is done within the app, in particular payment and the route. The fare is calculated per km/mile travelled so you know it's a fair price. On many occasions we've found the cost of an Uber ride to be almost half the price of what some taxi drivers have quoted us. You can download Uber here and use our invitation code of “sebastienc221ue” to get a free ride. Otherwise, look out for alternative apps offering similar services like “Lyft” in the US or “Allo Taxi” in Lebanon. Whether you use Uber or another app, the most important piece of advice is to never jump into a dodgy unlicensed cab. Always try to book an official one or if unsure, get your hotel to book it for you. It maybe more expensive, but that extra money is peanuts when you think of the peace of mind it gets you knowing you're not going to have any problems. Avoid unofficial unlicensed taxi drivers! GoogleMaps has become one of the best travel apps we use for getting around. With regards to safety, it's the most reliable and efficient source we have to determine how to get from one place to another. It has the latest public transport information so will tell you the best route to take. You can also use it to determine the correct distance between two places, enabling you to plan accordingly. It will also give you practical information like location of the nearest ATM, supermarket, bank and more. If you don't take our advice above and have a local SIM card, you can also use GoogleMaps offline as a GPS, which is what we also love about it. When you do have WiFi, you just zoom into the area around where you are and it will automatically download the information to your phone to use offline. We found GoogleMaps invaluable when, for example, taking tuk tuks in India who loved to take a dubious route to their friend's special shop pretending it was where we wanted to go. By knowing in advance the correct route, we were able to monitor drivers and catch them out as soon as they take a wrong turn. We always strive to make local friends when travelling. They not only give you a deeper insight of a destination but they will able to give you the most up-to-date invaluable security advice about the local area that you may not be able to find online. For example in Beirut, locals were quick to tell us to avoid the southern suburbs of the city, which are currently no-go areas to everyone. In Lima, our Peruvian friends told us to stay in the airport on arrival and not to venture outside because the neighbourhood around it is notorious for gang violence and kidnappings. If something does go wrong, having a local friend will help you with language barriers when speaking to officials as well as navigating your way around a big city to find the Embassy, Police Station, hospital etc. When travelling, people's attitudes to drinking and even drug-use may be more lax than back home. It's certainly tempting to go crazy in the bars of Cusco offering really cheap 2for1 deals on Pisco Sours, or ordering the strongest marijuana in a coffeeshop in Amsterdam without understanding the strong effects on your body. Without sounding like a nagging mother, when going out, always try to be with a group of people you trust and if possible try to avoid excess alcohol. Amongst many other reasons, you're putting your personal safety at risk if you're completely inebriated. In the case of drug use, we strongly advise avoiding it in countries where it is illegal. The last thing you want during your holiday is spending time in a police station. In the more extreme situations, some countries even enforce the death penalty for drug use such as the Bali Nine in Indonesia. If you're going out and you know you're going to drink lots or take the risk of using drugs, then at least plan for it sensibly: avoid taking valuables, take enough cash to get you home safely, have emergency contact numbers to hand and try to stay with a group of friends who you can trust will have your back should anything go wrong. Throughout all our backpacking adventures, we've always worn a money belt when moving from one place to another. It fits snuggly under your trousers, over your underwear, completely out of sight. We place inside it our passports, cash and bank cards. When checking into a new place, we then leave the money belt locked up in the hotel safe or other safe storage area. When going out sightseeing, we only take the minimum cash we reasonably need and leave all valuables safely locked away back in the hotel room. Money belts are inexpensive and can be purchased either on Amazon or in any good travel shop. Thanks for the very useful tips – we have just returned home after revealing round the world for 14 months – I am pleased to say, safely and unharmed. Love your blog. Met your friends, Paul and Luke in Indonesia. Best regards. Thanks for the message guys. How does it feel to be back home? LOL on No Dar Papayas guys. Love it. Smart. Plus keep the drinking in check. Most folks get in trouble because they are drunk.